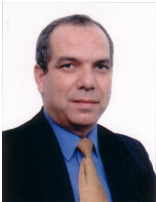 Dr. Magdy Kamel Khaled Hamam received his post doctor degree from Osaka University Japan in Maxillofacial Radiology during period of 1993-1994. Served as chariman for department Oral Medicine,Al-azher University during 2002. He is a member of International American Association of Period ontology during 1999, International Association of Maxcillofacial Radiology 1995,Egyptian Dental Association 1981,Saudi Dental Society 2008.